There is a fascinating dynamic tension between wireless telephone service providers and the governments that regulate their activities — particularly local governments that find themselves up close and personal with voters. 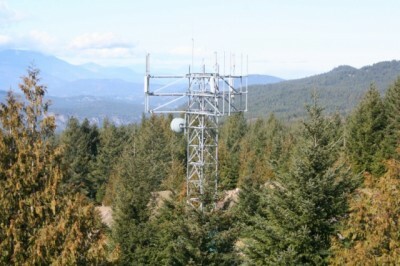 Right now both Rogers and Telus are proposing new cell tower sites in response to complaints from their subscribers that there are gaps in the quality of service — Telus in Mill Bay and Rogers in Saltair. While local governments don’t have an ultimate veto on the siting of these towers, they do have a large measure of influence over the final decisions made by federal regulators. Here’s the story: tens of thousands of cell users in the Cowichan Valley demand and expect smooth and seamless cellphone coverage where they live, work and travel. Let’s not forget we are not talking simply cellphones; we are also including smart phones, which are essentially small computers. These gobble up band width or capacity in the existing system. By one estimate there are about 32,000 cellphones in use in the Cowichan Valley. That number seems huge but it comes from an outfit called NationMaster, a firm that collects international statistics. It estimates there are roughly 38 cellphones in use in Canada for every 100 people. If that’s true, there are an awful lot of people — otherwise known as voters — who might not take it too kindly if the CVRD makes it too hard to locate cellphone towers where they can assure smooth and seamless coverage for cellphone users. On the other hand, members of the public — also known as voters — can be appalled at the gigantic steel girder structures being proposed by the cellphone companies. In Mill Bay the tower is proposed to be sited next to the Island Highway just north of Kilmalu intersection. The CVRD is already formally on the record as opposing the Mill Bay Telus site. In Saltair, CVRD director Mel Dory is responding to local resident concerns about the proposed Rogers tower by helping to scout alternate locations that would have less impact on populated areas. I’m no expert on the fine details of cell tower locations but I do understand that topography and geography are pretty critical issues when locating them. 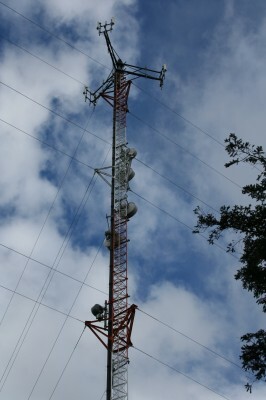 Tower design is also a factor in providing the capacity that cellphones users are demanding. There is the option of what is called a monopole cell tower that is much less visually obtrusive than the girder towers, but they apparently cannot provide the same capacity to meet the service demands of cellphone users in the current circumstances. The assurance of reliable coverage is becoming increasingly important as more people opt for cellphone-only for their telephone connectivity — particularly young people. Cellphones, and smart phones, are a fact of life and it is reasonable for users to expect seamless and reliable coverage. On the other hand, aesthetics are also a real issue and this is where the dynamic tension between the cellphone companies and local government will play out. This entry was posted in Safety & Regulations, Technology, Telus, Zoning. Bookmark the permalink.